I want to do a product review for Crème of Nature Argan Oil Perfect Edges Styling Product , which was purchased with my own money and my honest opinion. Perfect Edges hair gel infused with Argan Oil controls and holds down edges, while moisturizing and adding Exotic Shine™ to the hair. This nutrient-rich formula makes hair stronger and gives superior hold without flaking. Perfect for creating sleek, smooth styles, ponytails, sculpting & styling the hair. I spray water on my edges before using Perfect Edges. 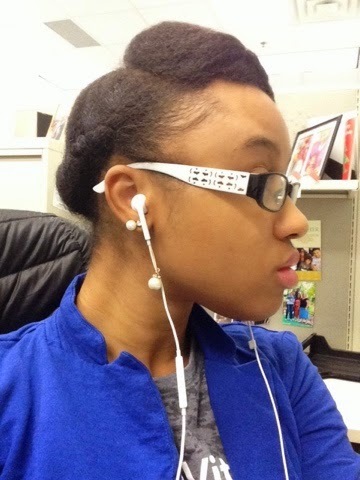 I add a bit of the gel and smooth it on my baby hairs for my desired look. Sometimes I add my satin scarf around my head to get a hold with the Perfect Edges. I'm a bit on the fence with Perfect Edges. First of all, the smell is very strong...like a perfume scent. I don't mind the perfume scent (like ApHogee), but this does lingers throughout the day. I did not use this product that much because of that. It does not take much to get my baby hairs laid down. So it does give a strong but soft hold. It really works well when mist water on the hairline first then using Perfect Edges to mode the baby hairs. Have you tried Perfect Edges ? What did you think about it? Natural hair says: continue to search for the best products for your own hair type and texture. It does take some time to figure out what products are the best for you. When you do find the perfect products, make them your 'tried and true.' Stick with it! 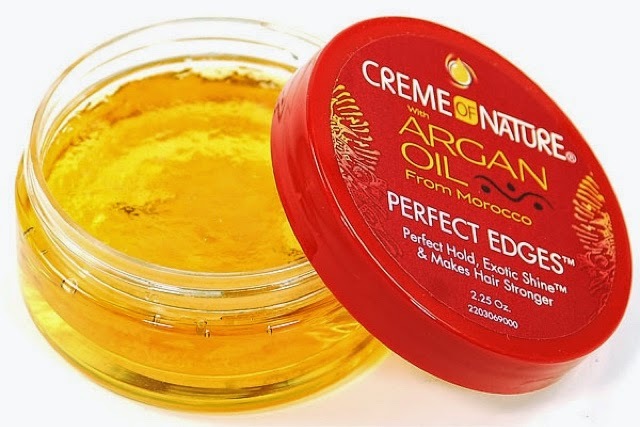 *Product Review: Crème of Nature Argan Oil Perfect Edges was purchased with my own money and the review is my honest opinion. Hair Tips | Is Co Washing For You?